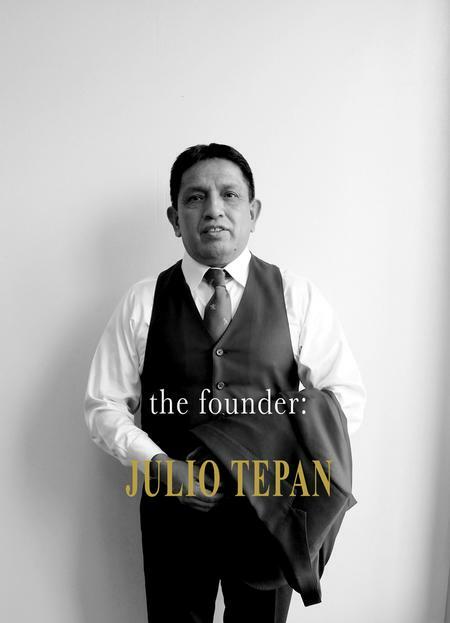 Master tailor Julio Tepan cut his teeth over 40 years stitching suits together from the finest fabrics this world has to offer. And the work is all done in his Rye and Greenwich studios. “We don’t send our garments to other countries. We make them right here at the store,” says Julio Tepan. What he does source from overseas: fabrics from Italy and England, which have exquisite quality and durability. Bespoke clothing is the pinnacle expression of the fashionable gentleman. The cut and the size are uncompromising, and every stitch is sewn with the singular aim of reflecting the owner’s sense of style. Once your pattern is finalized, your cloth is hand-cut and your garments are brought to life by one of our tailors. Each suit takes upwards of 40 hours to complete. Using your measurements, we create a physical pattern. It is used during the cutting and quality control processes. The result is a unique pattern that is created for you. Approximately 3 to 4 weeks after your initial consultation, your bespoke art will be ready.